Simple. sweet, and to the point --> abundance, prosperity, and health in the new year. 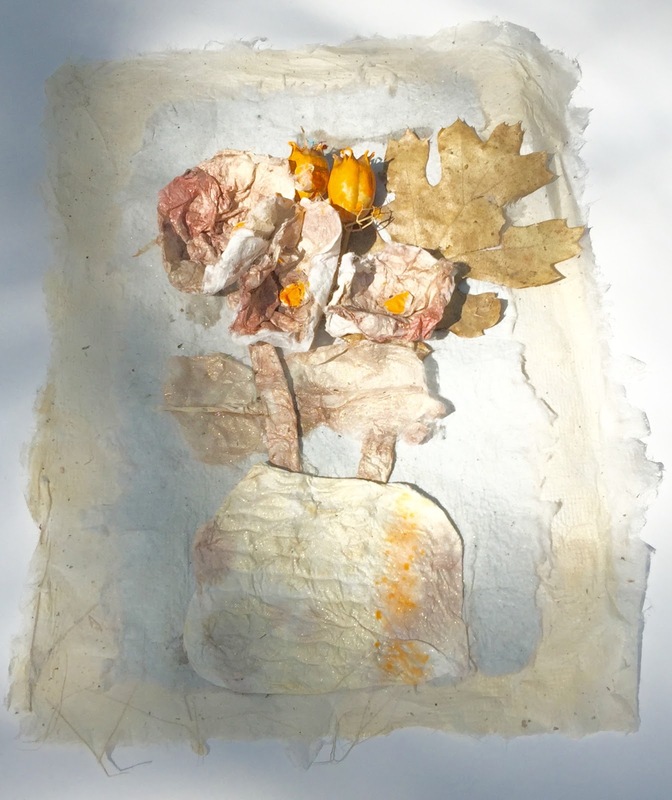 Paper Making with Linda Lemon at Oakland Art Camp at Feather River, Quincy, CA. First, I make the papers; second, after the paper dried with a bit of water spray I formed into the flowers; third, and glued the flowers onto a piece of white paper.